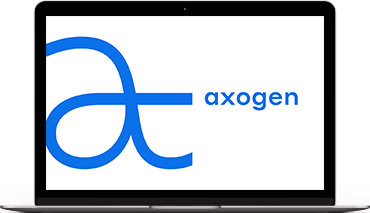 Axogen (AXGN) is a global leader in innovative surgical solutions for peripheral nerve injuries. Axogen's portfolio of products includes Avance® Nerve Graft, an off-the-shelf processed human nerve allograft for bridging severed nerves without the comorbidities associated with a second surgical site, AxoGuard® Nerve Connector, a porcine submucosa extracellular matrix ("ECM") coaptation aid for tensionless repair of severed nerves, and AxoGuard® Nerve Protector, a porcine submucosa ECM product used to wrap and protect injured peripheral nerves and reinforce the nerve reconstruction while preventing soft tissue attachments. Along with these core surgical products, Axogen also offers AxoTouch® Two-Point Discriminator and AcroVal® Neurosensory & Motor Testing System. These evaluation and measurement tools assist healthcare professionals in detecting changes in sensation, assessing return of sensory, grip and pinch function, evaluating effective treatment interventions, and providing feedback to patients on nerve function. 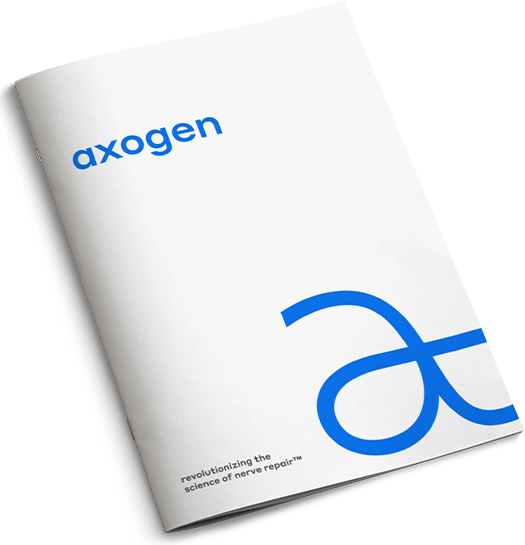 The Axogen portfolio of products is available in the United States, Canada, the United Kingdom and several European and international countries.